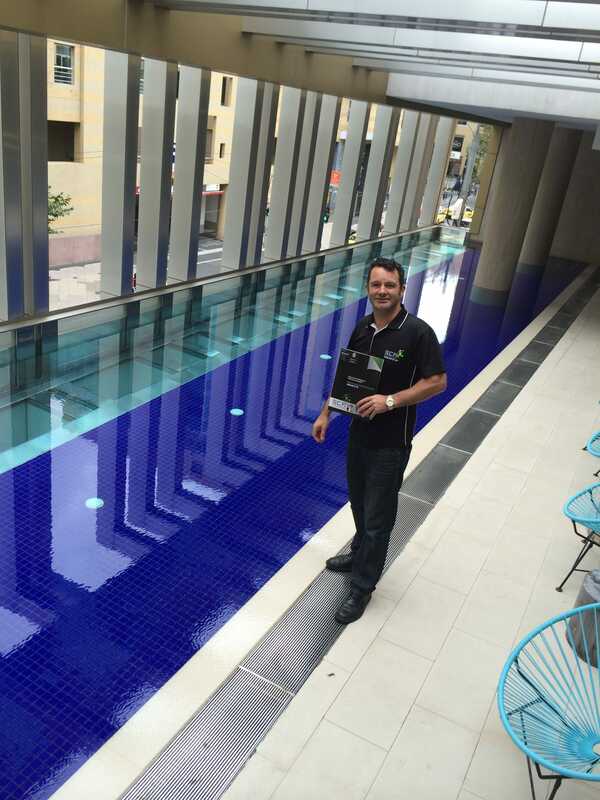 With a Pool that was leaking into their Hospitality areas below, the Olsen Hotel wasted no time in asking SCR to investigate and repair the leak in their stunning Pool facilities. SCR worked with the Olsen Housekeeping and Management staff to arrange a project schedule, which included after hours access, which would cause the least disruption to their guests as possible. Within days of the pool being emptied, SCR had completely re-sealed the Pool and attended to all water drainage areas of the Pool to ensure there were no future leaks. SCR was able to turn what sounded like a major maintenance nightmare into a very quick and easily dealt with Project. Thank you to all the Staff at the Olsen Hotel that helped with making the schedule smooth and efficient. 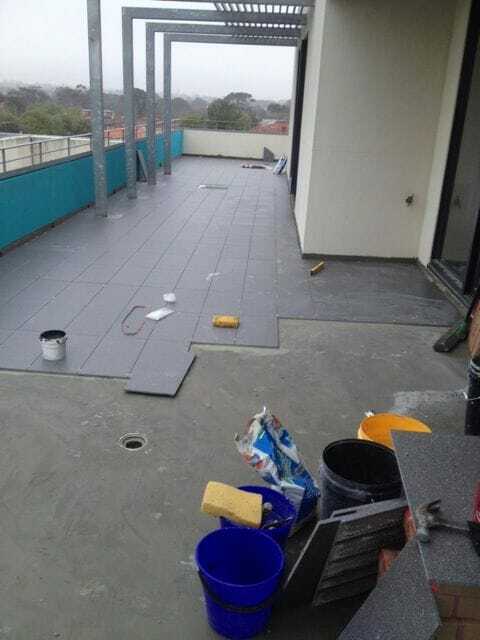 Tiling Body Corporate Balcony - Ormond Road, Elwood. When SCR attended this site to perform an inspection and report, we found that there was no upturn of the original waterproofing against the walls, and when some destructive investigation was undertaken, water could be seen flowing through the base of the walls and entering penetrations made through the suspended concrete slab to areas below. We also found a number of drummy and loose tiles lifting up across the entire surface of the balcony indicating the membrane had failed in various sections across the entire surface of the balcony. The option SCR offered was to fully re-tile all tiled balcony areas within the Building. This would include screeding to create and adequate fall to the drainage outlets and installing puddle flanges where required, waterproofing to Australian Standards and Re-Tiling with appropriate skirting tiles. SCR worked tirelessly to complete over 130m2 of leveling, waterproofing and tiling over multiple Balcony area throughout this building. SCR and the Body Corporate Management for the building worked closely together to ensure the project proceeded with as little disruption to the residents as possible. SCR had up to 10 x Staff including Tiler, Screeders and Waterproofers on site at any one time to ensure the project was completed within the two week timeframe. With a fantastic looking end product, happy Residents, happy Body Corporate and no more leaks, SCR considered this to be a very successful project. SCR was called out to inspect the communal outdoor area available to guests, as the concrete slab was pooling water in several areas, and had multiple drains blocked. This had caused the water to penetrate the existing membrane and allow the water to leak into the apartment ceilings directly below the balcony. SCR rectified this problem, by opening up the movement cracks within the concrete slab and injecting a flexible-epoxy to help compensate should there be any future movement. SCR then applied a vapour barrier to the concrete slab before applying several coats of trafficable waterproofing membrane. SCR worked this project in sections always allowing for resident/guest access. Thanks once again to the staff team at the Quest for assisting SCR with the difficult access in getting our Materials up to our work site.